The night when Ronaldinho was given a Standing Ovation at the Bernebeu was one of the most memorable moments in the last decade. The two goals mesmerized even the arch-rivals fans. That's the fun in all this! It doesn't have to make any sense, just being there will do. With the current state of affairs at Barca, anyone can create one, spread it like wild fire and almost make us believe that it's the truth. One have to admit the Catalonia based mediahouse, Sport is doing a good job at it. Let's admit it, we love them too. It's all fun to get up every morning with your club getting linked with a new star, the hope of endless possibility driving you crazy. The only problem is the usual disappointments that is associated with all this at the end of the transfer window. Barca fans have been subjected to that in the last two seasons. So it's better to take every rumour with a pinch of salt. A brilliant compilation of Neymar's first season at Barca. May not have been spectacular and have been controversial at times. But the video shows the prospect of a very bright future ahead. With strong reports of David Luiz's impending transfer to PSG (this time from a much trustworthy news source) , Barca fans cannot help having that worse Déjà Vu feeling yet again. We have seen this earlier, isn't it! It happened last season, the season and will continue again this season, many a times. It's not a surprise any more, we have been trained to expect this and this alone for sometime. A week ago we were told that David Luiz transfer is all done and dusted. Of course the story was broken by Sport and some could argue I am a bit crazy to have believed this in first place. But once again, they were good at selling the dream and normally we couldn't stop ourselves from believing. 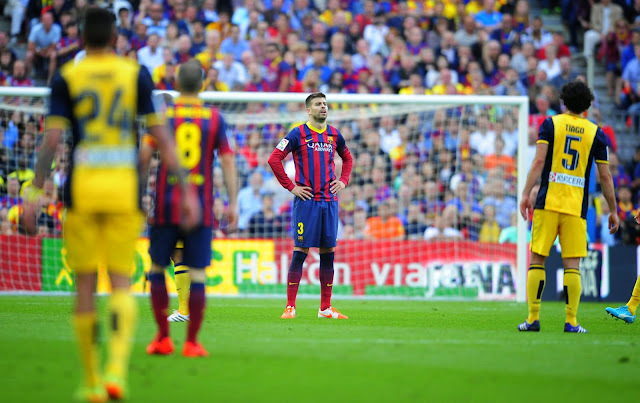 Barca's troubles of this season were beautifully described by La Liga when they announced the Team of the Season". Not even a single Barcelona player made the cut. 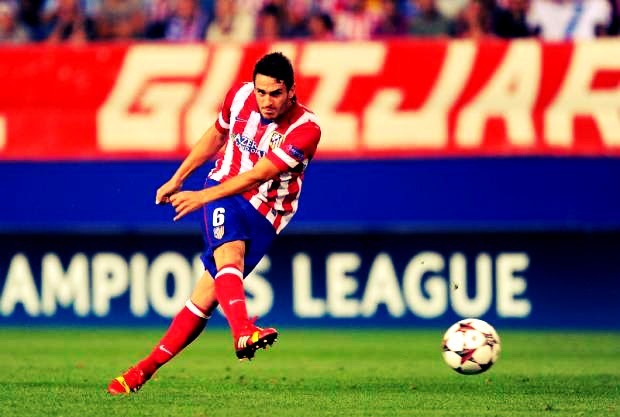 The Champions Atletico Madrid as expected, dominated the line-up. They have Courtois, Godin, Luis, Juanfran, Koke, Gabi and Diego Costa in the line-up. Real Madrid have three players in the line-up in the form of Ronaldo, Bale and Ramos. It's been some time since Lionel Messi has missed out on the Team of the Season. In the end it was impossible for this to continue. From the heights of driving their fans to ecstasy with their performance in the field Barca has come a long way. There were too many occasion where one simply felt that the team was merely going through the motions. Even though we were so close to winning the League, we have indeed given up at many occasions. So there was no way Martino could have survived this, there is no point in surviving this. At Barca, how you win matters most, more than how much you win. The way we were playing in recent weeks turned the table completely on Martino. As a matter of fact, we weren't exactly winning also! So that didn't do him any favour either. As widely speculated, FC Barcelona has confirmed the appointment of Luis Enrique as the First Team Manager for the next season. The two year deal would see him manage the club till the end of 2015-16 season. 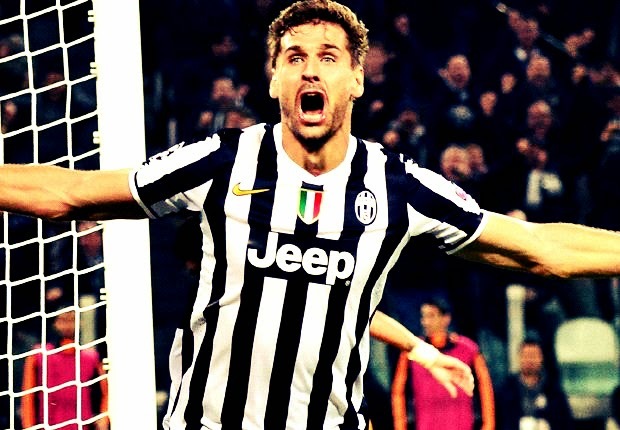 But then whether he will continue or not will depend definitely on the success of next season. This announcement was just a mere formality. Everyone knew that Luis Enrique would take over after Tata Martino announced his departure following the La Liga loss to Atletico Madrid. A day before Luis Enrique has announced in a press conference his departure from Celta de Vigo. 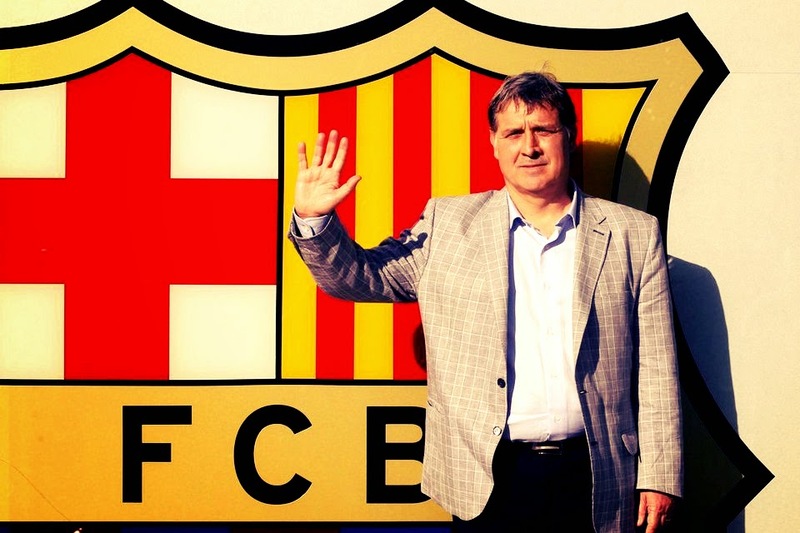 Long before that there were serious speculations about him taking over from Martino, especially a very much publicized secret meeting between him and Barca Sporting Director Zubizarreta. 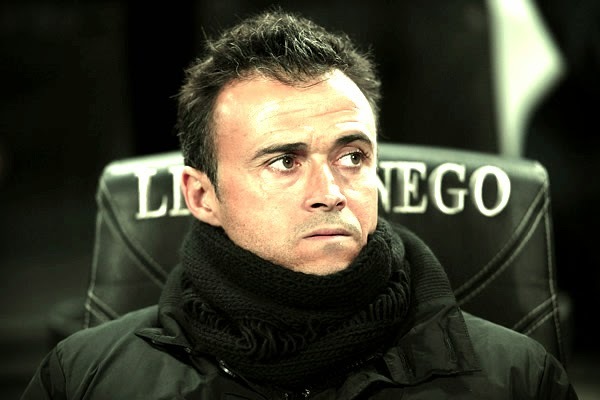 It is believed that Luis Enrique is the Sporting director's pick. 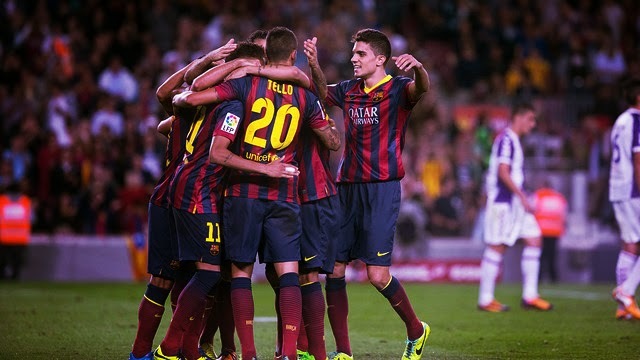 Highlights from FC Barcelona's match against Atletico Madrid at the Camp Nou on Saturday. The draw meant yet another instance of the title decider on the last day being ended up in a stalemate. Nice to see Camp Nou rising in standing ovation for the La Liga winner. Atletico Madrid were not to be denied, their fairytale season continues, they have fought for this like no other team. They just had to win this. In a match which could be dubbed the best final ever or the best final we all have witnessed, Atletico prevailed. They didn't have to win this and the 1-1- draw was more than enough for it. In the preview to the match I have written about the possibility of Atletico breaking down physically, make no mistake - they did! They lost Diego Costa and Arda Turan, their two best players early in the first half, they appeared like not knowing what to do, they went behind when Sanchez scored. It was all turning against them, that too in the final game of the season. But a number of times this season, they found that inner spirit to drive them back into the race and the Godin header clearly described this team's motto "Fight till we Die". Alexis Sanchez's spectacular goal against Atletico Madrid. "One Game to Rule them All"
Finally it has come to this, just one game! That will decide the fate of La Liga. Who would have thought it would come to this? At the start of the season, it has only been a battle between Real Madrid and FC Barcelona like it always have been for all these years. Now at the end of the season, Real Madrid has been replaced by the other side of the capital. No one expected Ateltico to continue like this, they had to break down at some point. There was no way they could continue to play their brand of football till the end of the season; only problem was that someone forgot to tell that to them. Mean while, Barcelona's case was also similar but also different at the same time. No one expected them to be here, the league within their reach and one win away. Barca has time and again raised their hands to surrender, but was literally dragged back into the ring. How many times we all have thought to ourselves that it's all over, just to see the dream still intact the very next morning. It's that kind of season, and when it's over we all will be relieved. 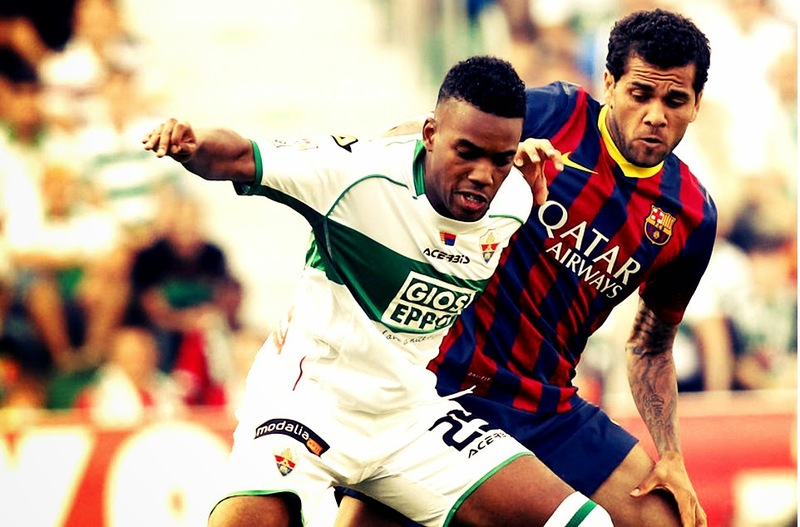 Highlights video of FC Barcelona's goalless draw against Elche last night. Some would say we missed a great chance to cut the distance between us and Atletico. 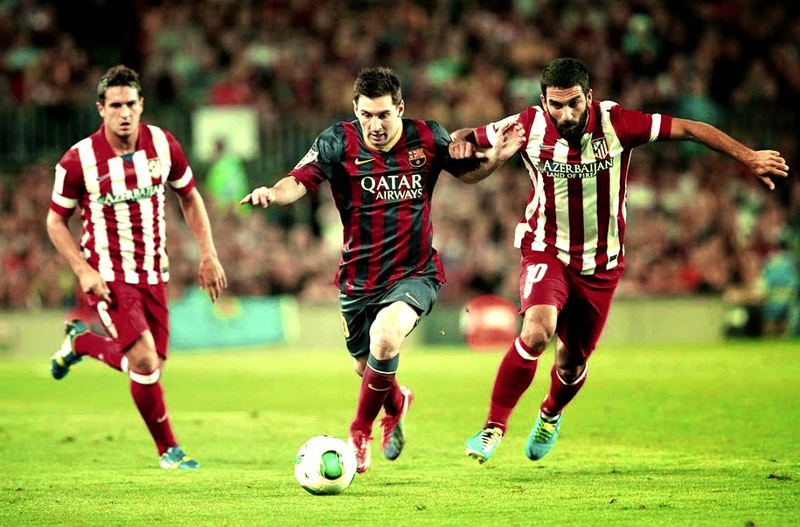 Since Atletico drew yesterday, the equation remains same for Barca like last week. A victory and nothing less than victory will help Barca win the league next week. in the match between two teams who were fighting for their lives in the league, one has to admit both came unhurt thanks to other results across the League. The match started with three teams technically fighting for the league, but Real Madrid dropped off the race after going down 2-0 against Celta de Vigo. So next week clash at Camp Nou is the La Liga final with Atletico holding a huge advantage. With a three point lead Atletico wouldn't have to force a winner whereas FC Barcelona boys need to go full throttle for the title. Barca definitely had the chance to negate Atletico's advantage when they went down 1-0 against Malaga at the Vicente Calderon. But we couldn't find a goal and but once they equalized, we were definite that we will start the next week encounter on the back foot. The Atletico game will definitely take the aura of a cup tie, this is reflected in the betting too with odds reflecting a knockout phase bet rather than a league game. So after twists and turns of the season, it will all be decided in a single match; here Atletico definitely have the advantage. David Luiz is getting linked back again to Barca. Now that is mostly like a annually repeating deal. This time the rumours are pretty strong. 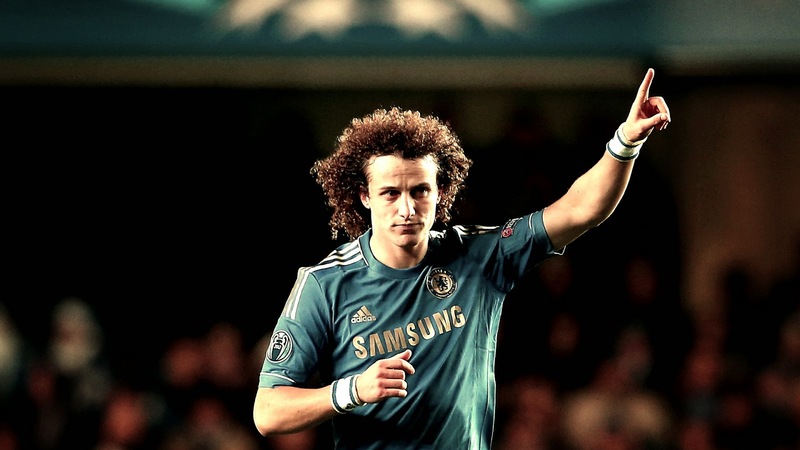 Things have changed for both Barca and Luiz from last summer, which strengthens the rumour. First of all we are desperate for a defender, especially with Puyol also leaving. Second is the crucial one, Luiz is not so clear about his role at Chelsea. He has been not so regular in Mourinho's plan. For Barca Luiz would be a great signing. 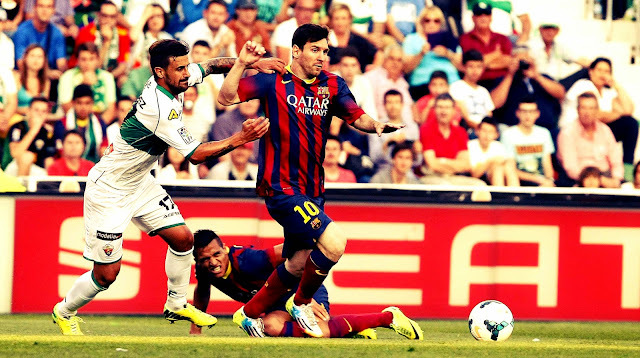 He is more or less in the same mold of Puyol in terms of defending. The additional advantage is his presence in opposition box something we have been lacking recently. This story is still developing, so watch out this space. Cesc Fabregas Transfermarkt - Should Barca sell Francesc Fàbregas? Cesc Fabregas has been subject of many a debate at Barca before he arrived from Arsenal. Mostly those were centred on how to get the boy back at Barca or should we get him back at Barca? Little has changed since his arrival at Barca. He is still the hottest property in any Barca centric debate! Only change has been a slight modification to the topics - earlier if it was how and should we sign him; now it's changed to how and Why we should sell him? That's a small but significant change. There is a tendency to put Barca's recent failures, especially after Fabregas was signed on his head. We all complain about how he goes missing in big matches and are a liability at times. But have we ever paused and thought for a while what is hampering him at Barca? 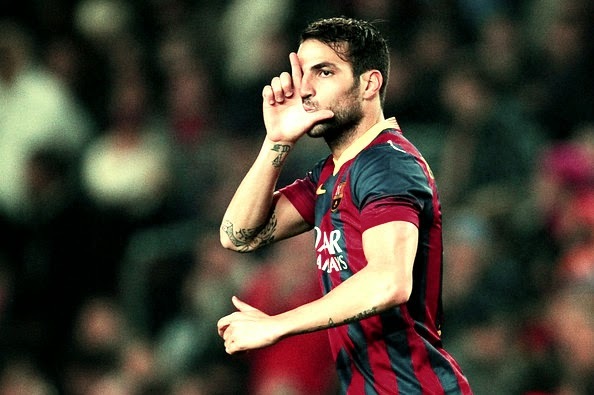 Unless we do the same, we may not be able to answer whether Cesc is the future at Barca? The transfer stories are in full flow even before the season has come to an end. If this is the state of affairs now, one could only imagine the pandemonium that could be created once the transfer windows opens. Barca's problems of the season necessiated the reinforcement of more than one position. Since "Necessity is the Mother of Invention", new and fresh rumours get invented every day. One of the problems of having a great season, especially for an underdog is that you get to lose the best players you have got. Most probably that could be what Atletico could be facing this transfer window. Something they won't complain about, since they need the money from the sales very badly. You can hear rumors. But you can't know them. That's precisely the fun about rumours, they are to be heard, believed and forgotten. But they are capable of upsetting the emotions, destroying relationships, invoking hope when none exists; but in the end it's not the rumour which is at fault but the idiot who believe that! Then in a transfer season, we all play that innocent idiot part to perfection. So currently we believe that the club is going to sell 16 of it's players, has already signed defenders who will strengthen the defense and the best of all - Zubizarreta, our sporting director has drawn a list of 80 players who we are interested. Yup, you heard it right, 80! That too by a man who could not draw a list of two defenders to buy last season. Once again we are bombarded with rumours, most of them would turn out to be damn lies. Then some would argue that there are not rumours, but fresh news broken out by Catalan media houses. But we all knew when it comes to Sport and Mundo, every rumour is the news and every news is a rumour. Reluctant Hero Barca Back in La Liga Title Race! Strange has been this season; like an obedient and polite school boy Barca has tried their best to stay out of the La Liga fight especially in the recent weeks, only to be dragged back right into it by fate, circumstances, whatever you may call it. Last Saturday night we said goodbye to whatever remaining La Liga hope, forward to Wednesday night - Barca's La Liga hopes are up and running big time. May be Barca is destined to play the reluctant hero this time around. How well this describes the emotions each of us is facing? Barca has been pretty poor recently. They were expected to keep on fighting, but they have fallen short time and again especially when the pressure was on them. Now by the sheer turn of circumstances they face a situation where we could win the League without being at our best, with effectively one majestic performance. Betting houses have gone crazy, fans have gone crazier. If you have any idea of what's going to happen in two weeks’ time, then don't hesitate to make a football bet at William Hill. Positions have changed so much in a span of days that one would go crazy thinking how things will end up on 18th of May. It looks like one needs to pray for a steady thinking mind to survive this transfer season. That's how fast and bad the rumours are flying in. Seventy percent of it is the usual crap, which the Catalan based media houses - Sport and MundoDeportivo specializes in. The other 20% looks like is created by rival media houses(read AS and Marca) to destabilize their favorite rival. In midst of all this, true to the nature of the league this season - the League situation has taken a turn for the best or the worst(depends on each person). When we failed to win on Saturday, we gave up all the hope of a silverware this season. But just sheer fate and fate alone, we are dragged back into this race. We have been trying our best to get out of this La Liga race, but it just won't simply let you go.